Margarita is a miracle drink. It is so simple, yet so tasty and popular. There are only a few ingredients for classic margarita: tequila, triple sec, and fresh lime juice. However, people have developed thousands of margarita recipes by varying the proportions and adjusting the ingredients slightly. If you are wondering how to make the perfect margarita with the best margarita recipe, keep reading. Having made and drunk many margaritas, this beverage is definitely one of my favorite. Frozen margarita is my go-to cocktail for summer. Not only summer, I drink it all year long and try different recipes. It is fun to make your own margarita. There are many ways you can tailor it to your own taste. For example, add fruits, try sugar rim or salt rim, and freeze it summer, etc. What is the best margarita recipe? There is no one-fit-all answer. However, one key to ensure you make a great margarita is to use good quality 100% organic agave tequila. Otherwise, you may have a sub-par margarita that gives you bad hangover. 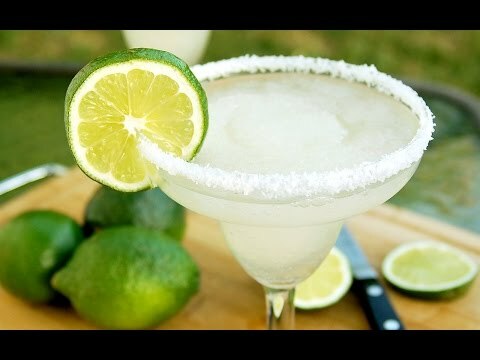 How To Make The Perfect Margarita? I would love to share with you the best margarita recipes. These are my favorite ones. Give them a try. Whether you are yearning for a simple solitary weeknight margarita or entertaining a large group of guests out on the patio, I have you covered. Which recipe do you like the most? Let us know by voting it up! Do you have a margarita recipe to share with us? Add it at the end of the post. Please come back occasionally as we add new recipes to the list from time to time. And we are on social media. Let’s connect on Pinterest and Facebook! Lastly, if you like our lists, why not create your own? You can do so by adding yours here. My favorite margarita is the simplest one. And by simple, I don’t mean it comes from a machine or is made with that neon sour mix that’s as common as passed-out bros on Cinco de Mayo. Nope, the version of the ultimate warm-weather cocktail I make more than any other variation is Tommy’s Margarita. Give the classic margarita recipe both a fruity and winter twist. 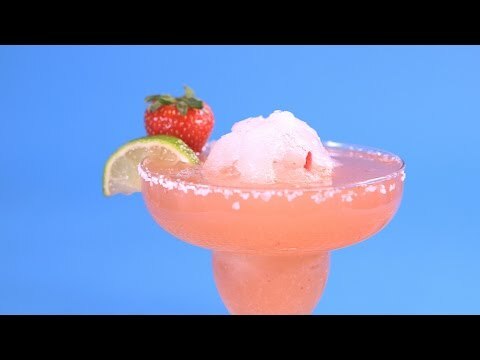 This strawberry margarita stays chilled to perfection with a snowball (yes, it\'s real snow)! This fruity marg is a fun, easy-to-make party drink recipe. this EASY cocktail recipe is the perfect margarita! Raspberry Lemonade, tequila, and triple sec- that’s all it takes to make a pitcher!